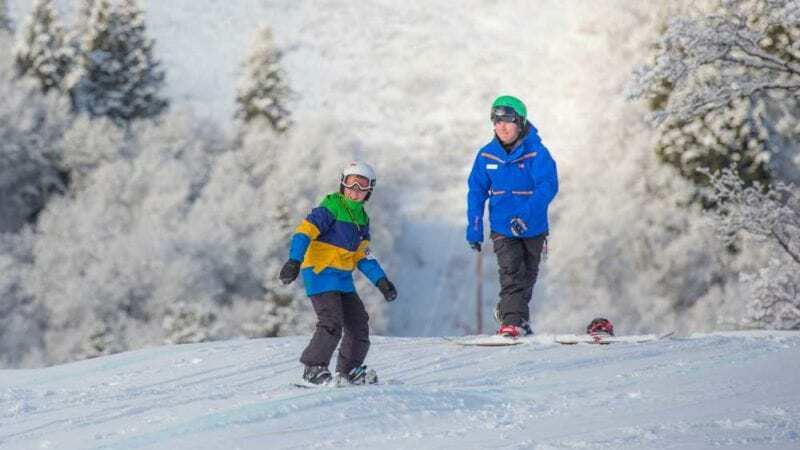 Terrain-Based Learning™ is shaping up ski resorts across the country, making it easier than ever for beginners to pick up and enjoy skiing and snowboarding. Fewer falls and a faster learning curve are bumping up return beginner visits by about 20 percent. According to the National Ski Areas Association,TBL is one of the greatest innovations in the business in 20 years. There’s no better time than the present to learn to ski or snowboard or brush up on your skills at mountain resorts around the country. Just as shaped skis revitalized the ski industry years ago, today the Terrain-Based Learning™ method gets beginners carving quickly while amping up the fun. In addition, personal services, such as skis delivered to your family vacation rental, and private instructors who travel with you between resorts are making a family ski vacation easier to manage. New to snow sports? The annual Learn to Ski and Snowboard Month in January offers a lesson, rentals and lift ticket from $45 (varies state to state). Here’s the scoop on TBL and what to pack for a family ski vacation. Kids are less likely to complain about lessons with this fun method of learning to ski or ride. Beginner slopes are shaped with cool features including rollers, mini-pipes and banked turns that naturally control a skier’s speed, turns and stops. While the fundamentals of teaching snow sports are the same – stance, balance, edging, pressure – TBL helps skiers and riders learn and accelerate their skills before their first time on a chairlift. “It’s a non- or less threatening way to learn to ski or snowboard,” says Mark Halterman, a veteran ski instructor and director of Brian Head Winter Sports School at Brian Head Resort in southern Utah. A typical TBL lesson starts on flat terrain for skiers and riders to get used to their equipment. From there, they progress to mini-pipes, then gain speed on rollers (gently rolling terrain) and experience banked turns that direct their skis and boards in a series of turns. Soon, they’re ready to ride a chairlift with confidence. TBL was launched by Joe Hession and Hugh Reynolds of SNOW Operating, which holds the trademark to TBL, and is currently working with about 25 ski resorts nationwide. About a dozen additional resorts are using their own version of TBL. “The guest spends more time moving and learning in a TBL lesson than in a traditional lesson,” says Reynolds, adding that students waste no time waiting in line for their turn. While the first formal application of TBL was built at the Burton Academy at Northstar in California, the program was officially launched to the masses in 2012 at Mountain Creek Resort in New Jersey. Brian Head and Snowbasin Resort in Utah jumped on board last year, and Sierra-at-Tahoe in California, two years ago, making these three ski areas among the first in the west to roll out Terrain-Based Learning™. Echo Mountain and Aspen in Colorado recently signed on, according to Reynolds. Renting ski and snowboard equipment through Ski Butlers eliminates the hassle of waiting in lines and lugging gear back and forth. 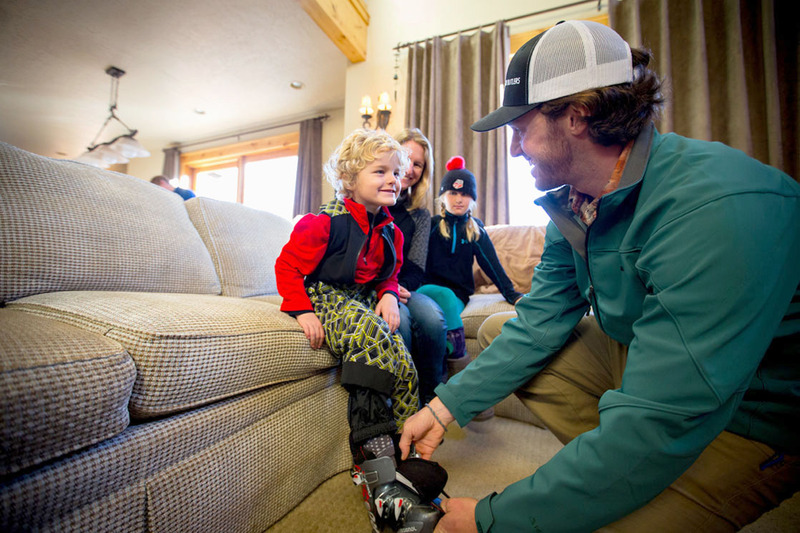 The Park City, Utah-based company delivers a selection of quality skis, snowboards, boots and helmets directly to your vacation rental. If there is a problem with the rentals while skiing or riding, Ski Butlers come to the rescue with replacements on the slopes. And when your trip is over, Ski Butlers pick up the gear. Doesn’t get easier than that, right? The service is available in Park City, Utah; Heavenly, Squaw Valley and Northstar in California, Colorado, Wyoming and British Columbia, Canada. Whether online or by phone, it’s best to reserve your equipment about two weeks prior to your vacation (three weeks before Christmas and President’s Weekend). Be sure to arrange for delivery (up until 8 p.m.) on the night before your first ski day. This will make your first morning getting out the door and on the mountain even easier. Ski and snowboard packages typically cost less than in many rental shops. And in Telluride & Steamboat, kids 12 and under rent free from Ski Butlers with a paying adult for at least four days. Although this informal service isn’t marketed, it typically takes place in ski states like Utah and Colorado, which have numerous resorts within close proximity. Here’s how it works: Say you or your child click with your instructor and want to ski with him or her during your entire your trip at more than one resort. Some instructors are willing to travel with you. The private lessons are booked at one resort, and families buy their own lift tickets at each resort they ski. Skiing with her clients was a perk of her job as instructor at Deer Valley in Park City, says Sherri Harkin, who taught skiing for over 25 years and is now based at Solitude Resort in Utah. “I usually let them (families) bring it up to me first. They ask if we can ski at different resorts,” says Harkin. Since terrain, scenery and snow conditions vary among Utah’s 14 resorts, many visitors like to experience a few of them during a vacation. They typically start in Deer Valley and book lessons there with an instructor. The resorts have a reciprocal agreement allowing instructors, who always wear their uniforms from their home resort, to teach their booked clients at other local mountains. “From an instructor’s perspective you have to know the resort well. It’s important you have skied there and know where the good teaching terrain is for the ability level of the student you are working with, says Harkin. That becomes even more challenging when teaching family members with varying skill levels, says Kristin Egan, a mother of three who trains instructors at Deer Valley. “Last year there was a family with a beginner. I had to pick something with good beginner terrain and yet somewhere good for other family members,” says Egan, who led her clients to nearby Park City Mountain (recently renamed Park City). After kids have been skiing a few years and surpass their parents’ skills on the slopes, they’re often ready to tackle more challenging terrain, says Egan. Spending a week skiing together is a bonding experience for both teacher and student. “You develop a friendship. Your students trust you and have confidence in how you’re teaching them and where you’re taking them,” says Harkin.